serif of nottingblog: Review in the Winnipeg Free Press! Ariel Gordon wrote this nice porcupinious review of The Porcupinity of the Stars for the Winnipeg Free Press. She connects my poem in tribute to bp, "Inside H", to bp's citing of his childhood passing of H block in Winnipeg's Wildwood Park neighbourhood with his love of the letter and his feeling that the alphabet is a tangible in-the-world object. 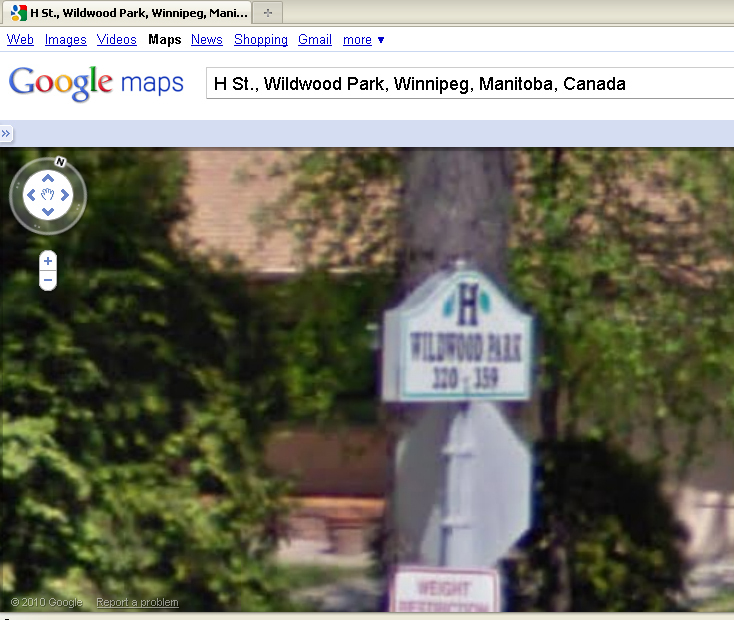 The above image is an H sign from the neighbourhood. I wonder if it still looks like the one bp would have walked by on his way home.